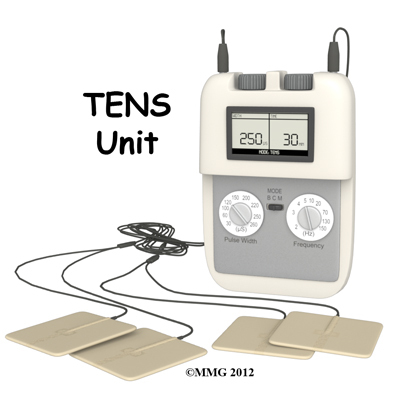 Welcome to MountainTop Physical Therapy and Wellness Center’s guide to Transcutaneous Electrical Nerve Stimulation. You will be shown how to use your TENS device by your Physical Therapist at MountainTop Physical Therapy and Wellness Center. Round or square rubber electrodes are applied to the skin over or around the painful area. The electrodes are self-adhesive with a protective layer of gel built in to prevent skin irritation or burning. Usually four electrodes (two pairs) are used to get maximum benefit from this treatment although two electrodes can also be used and in many cases provide sufficient relief.